No worries. Thank you for your nice words about my daughters. It does feel good to write a poem with a positive feel. You have an interesting rhythm going on there. And this is a very positive poem, I love it. But I do wonder what you mean by ‘right’. I’m guessing moral code I suppose. They are quite cute! I agree to that. That’s what we parents also do with our children. We always want to teach them right. And someday…they will right about their father and your heart will burst know you did well! Beautiful little girls. Thank you for you comment. I do love my girls. Thank you for your comment on this poem. It is one of my favorites. I’m glad you like the poem and photo. 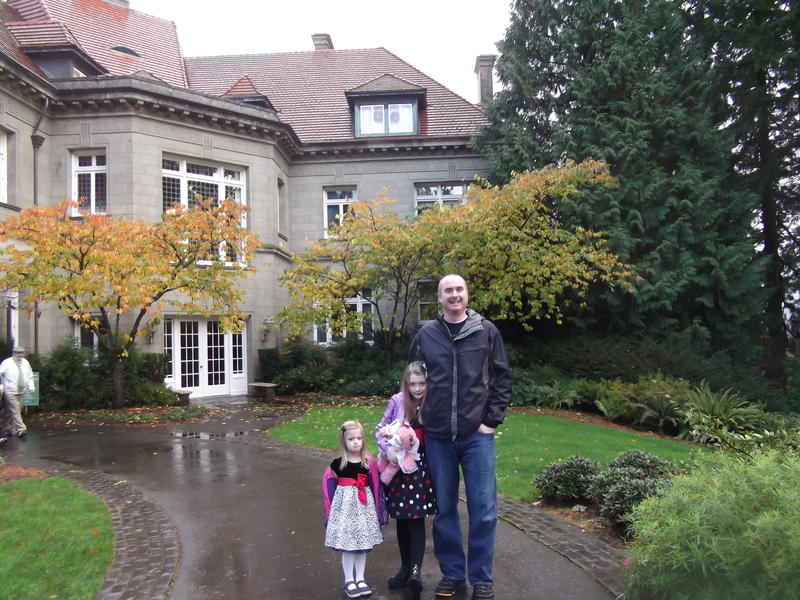 The house is actually the 23-room Pittock Mansion, which overlooks Portland. Our home is much smaller. Lovely. I have two of my own and can really relate to this. I’m glad to hear that you can relate to this poem. My girls hold a special place in my heart. Thanks for the comment. I have girls too. Must be that Daddy/daughter thing. I appreciate your nomination for the Love and Kindness Award. It reminds me that my most liked poem didn’t have a dark tone to it. Instead, well, it sided with love and kindness. Definitely two good things to have on your side. Thank you for the nomination. I posted It here like randomly to tell you the truth! Sorry If does not go well with the tone of your poem… Well Maybe somehow It does, as you have said… Reasons beneath… Who knows and why not? I’m glad you like the picture. It holds a special place in my heart.